In Missouri, the family members of a person who was killed as the result of someone else’s unsafe actions are entitled to bring a claim for wrongful death. Wrongful death claims are frequently brought when a family member is killed in a car, truck, motorcycle, ATV, or boating crash. Wrongful death claims, however, are not limited to these types of incidents and may be brought in most situations where the unsafe actions of a person or company result in the death of another. Family members who may be entitled to bring a claim for wrongful death include children, husbands, wives, parents, and, in some cases, brothers, sisters, and grandchildren. If your family member has been killed by the unsafe actions of another, you may be entitled to sue for “damages.” These “damages” include the cost of your family member’s medical bills and funeral expenses, a fair amount for the pain and suffering of your family member, as well as the reasonable value of services, consortium, companionship, comfort, instruction, guidance, counsel, training and support your family member would have provided to you had they not been wrongfully taken away. In many cases where a family breadwinner is wrongfully killed, the largest portion of the damages is for the future wages the family lost when its breadwinner was taken away from them. Proving these “damages” is best left to an experienced wrongful death lawyer. In many cases, economic experts may be needed to provide their opinion as to what constitutes a fair amount to make up for the future lost wages of your family member.  At Austin Bradley Law Office, we advance the cost of pursuing your wrongful death claim and vigorously represent you throughout the entire process. You owe us nothing unless we recover money on your behalf.